The pilot originally feared dead in the plane crash alongside footballer Emiliano Sala previously warned the aircraft was prone to dangerous “icing-up” and took precautions for ditching into the sea. In fact, Mr Henderson told how he would always wear a neoprene wetsuit and packed a life raft in the back to give him “6 or 7 or 8 hours survivability” in case he ditched into the Atlantic. He is filmed sitting in the cockpit of a plane – serial number N264DB – the same as that of the missing flight, according to reports on the Aviation Safety Network Wiki page. According to South Wales Aviation Group that same plane – a 1984 Piper serial number N264DB – took off from Rhoose, near Cardiff, on Saturday destined for Guernsey, presumed to be en route to France. 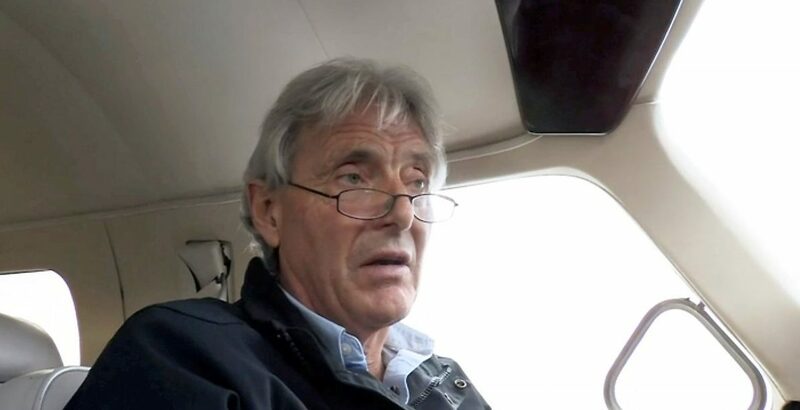 Speaking to the BBC in 2015, Mr Henderson described the potential problems with the plane. “One of the problems we can encounter is that ice can build up on the surfaces of the aircraft,” Mr Henderson explains. “On the propeller and the wings and if it gets too great the aeroplane would ultimately stop flying. The plane carrying Emiliano Sala was flying at 5000 ft, then asked air traffic controllers to descend 2300 ft. Contact was lost after this last communication. Ferry pilot Dave Henderson showed cameras around the piper Malibu, in the video from October 2015, which he said he had brought over from Spain ‘ a couple of weeks ago’. He said as a Ferry pilot his job was to fly small planes not designed to do massive distances, from one part of the world to another. “The other thing we have to take into consideration if there is a catastrophic failure of the engine, is the preparations for ditching on the North Atlantic,” he continues. Guernsey Police have said they know there was a life raft aboard the flight that crashed and they are basing their search for survivors on the assumption it was used. In the 2015 video Mr Henderson says: “At the last count I think its 11 pilots I’ve known in the last six or seven years that have not made it – some of the most exp pilots that I know have died from simple mistakes. Minor detail, N264DB is not the serial number of the aircraft, it is the registration number. Just as with regular vehicles the serial never changes, while a registration may be re-used or changed.